Uzin flooring systems were used at the Grade one listed Boringdon Hall Hotel in Plympton, near Plymouth is a former medieval Manor House where style and luxury meet the Elizabethan architecture. The hotel aimed to create luxurious fitness and spa facilities, therefore a high quality finish was paramount. Approximately 900 square metres of new flooring needed to be installed throughout the new Gaia Spa including treatment areas, gym, boutique, restaurant as well as the reception and interconnecting corridors. The builders had used an anhydrite screed for the installation and the moisture levels were over 75% relative humidity (RH). The flooring contractor, Russells Flooring Ltd had a good working relationship with UZIN and have 100% trust in UZIN’s product systems. After learning about UZIN’s new system to protect calcium sulphate screeds against residual moisture up to 95% RH, Russells Flooring Ltd decided to specify the unique system to help expedite the project. Firstly two coats of UZIN PE 425 primer was applied to the anhydrite screed. Two coats of UZIN PE 404 resin DPM were then installed, followed by a coat of UZIN PE 280 rapid drying primer. A flat and smooth finish was achieved by installing UZIN NC 150 water mix smoothing compound. 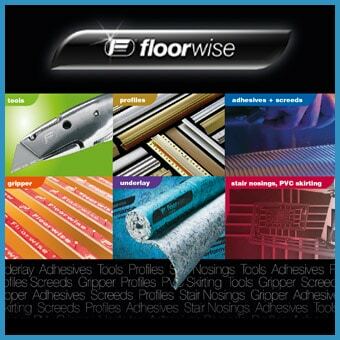 Finally a variety of different floor coverings including luxury vinyl tiles, vinyl and safety flooring were installed using UZIN KE 2000 S pressure sensitive adhesive. The innovative system enabled Russells Flooring Ltd to install the new flooring in time for clients opening date. The client was extremely happy with the finish of the floor coverings and Russells Flooring Ltd received exceptional feedback from the builders regarding their standard of work.